The popularity of WordPress is primarily due to WordPress themes. You can choose a theme and start creating the site without knowing any coding or programming. This hoards a lot of time, as you need not start from scratch. Whatever you conceptualize regarding the design of the website should be easy to translate into reality, as a wide variety of SEO friendly website themes is available. The themes have varying degrees of functionalities, as not all themes are SEO friendly to the same extent. Match the functional objectives with the aesthetics to pick a theme that is just right for you. The ease and convenience that users enjoy with WordPress make it the unanimous choice for website making whether it is for amateur or professional use. The theme developers first consider a business segment for which they would like to develop a theme like financial service, real estate, health service, etc. Next, they take into consideration the business process associated with that segment and builds the functionalities that make it conducive to optimizing for search engines. Thus, you would not only find a WordPress theme for your business niche, but also it would be ready for implementing SEO from the first day. The themes present a complete website structure by including templates for every page of the website. From the About Us page, to the other pages related to products, services, contact us, as well as Reviews and Testimonials, you would get everything ready-made just waiting to fill it with your content. When you are ready with creating the website, you can view the demo before freezing it so that you can fine-tune it as much as you want. The customization options in WordPress are almost endless, and with the help of the tools provided, you can make alterations in the way you want. Moreover, after using a theme for some time, you can switch over to another theme if you like, as it is easy to migrate between themes. However, always consider the impact it would have on SEO before you take a final call. How the theme changeover can affect SEO, and the precautions to take would become evident in reading this article. Blog sites are most likely to change themes because there is a trend among bloggers to start with a free WordPress theme to test the waters first. The website becomes the learning ground, and as they hone their skills and become more familiar with SEO and WordPress, their confidence grows, and even their requirements increase. 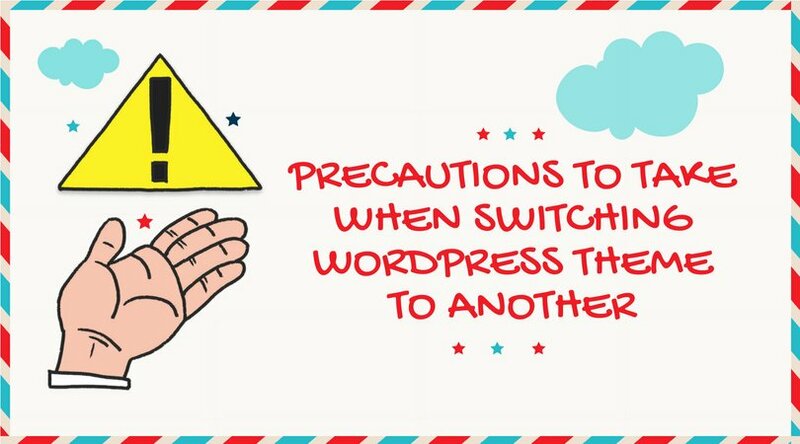 As a result, they would like to switch over to safer WordPress themes also if it means paying a premium because free WordPress themes are vulnerable to web attacks from malware and hackers. Premium WordPress themes have better security and functionalities and can drive more traffic to websites by supporting better optimization. Although SEO is almost mandatory for websites, not all WordPress themes have built-in SEO features but have provisions for adding SEO features to it. You can impart SEO friendly features to the theme according to your needs by using suitable SEO plugins. However, using themes with built-in SEO features is beneficial as it does away with using an extra plugin. In case you have such a WordPress theme, then changing over to a new theme can affect the ongoing SEO campaign. Keep this in mind when deciding to alteration WordPress themes. If the website theme does not have inbuilt SEO features, but you do it with the help of a plugin, then the changeover is more comfortable as it would not impact SEO. But this does not mean you would not encounter any problems at all because some other issues could crop up. If you are wondering, how the changeover of themes could affect SEO, then you must know that the titles are likely to undergo some change. If you were using H2 tags for post titles or hyperlinked post titles, you would experience some effects of the changeover on SEO. To avoid this problem, the SEO experts in Sydney recommend using SEO optimized themes because it uses proper heading tags as well as clean codes and it complies with all other SEO requirements. When you change finished from one WordPress theme to alternative, you will observe that the website URL has changed. The URL depicts your online identity that viewers become familiar with and any changes to it have far-reaching effects because it can become difficult for viewers to recognize your new character. The URL is your face on the website, and it is much more than a mere address for reaching the site. Another problem that you would face due to change of URL consequent upon changing WordPress themes is that the search rankings that the preceding URL had earned would all get lost. You have to win new rankings for the new URL right from scratch. To ensure that the SEO like search rankings are unaffected due to the changeover you must provide that the URL does not change. Even if it turns, redirect viewers to the new URL without causing any inconvenience. No matter which WordPress theme you might be using, you would create some custom settings for the ease and convenience of operations. The settings not only align with the features of the theme but also become an integral part of it. Therefore, when you discard the old theme and move over to a new one, it is natural that you would lose all the settings done to the earlier theme. Keep this in mind when choosing the new theme because it should accommodate the configurations that you had or else you must get it done by a professional developer. Also, pay attention to the way the theme loads content because it can have an impact on website speed. Before making the switch, take a complete backup of the database and the content by using a plugin for use in the new theme.